Like it or not, the end of summer is near. As we transition from laid-back schedules and fun in the sun to the routines, busy evenings and homework that the school year entails, keeping our home clean can be a challenge. Fortunately, Mrs. Meyer’s Clean Day® believes in a better way to get a good clean. 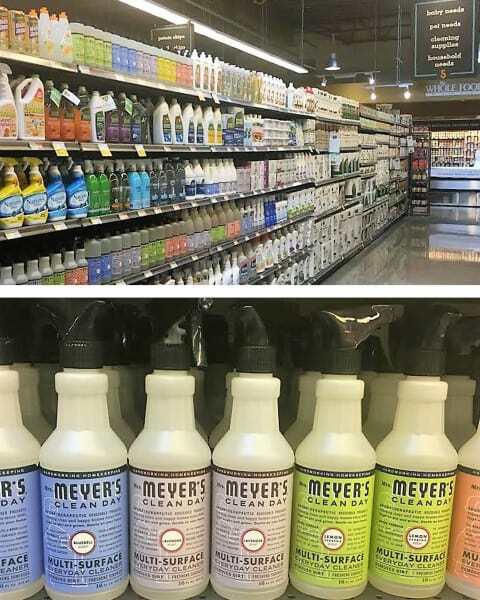 I stocked up on some of my favorite products at Whole Foods Market, including Mrs. Meyer’s Clean Day® Dish Soap, Multi-Surface Concentrate and Multi-Surface Everyday Cleaner in Lavender. Mrs. Meyer’s latest campaign, “Just Keep Making”, is encouraging everyone to be a Home Maker. Home Making is not the end of something messy, but the start of something inspirational. 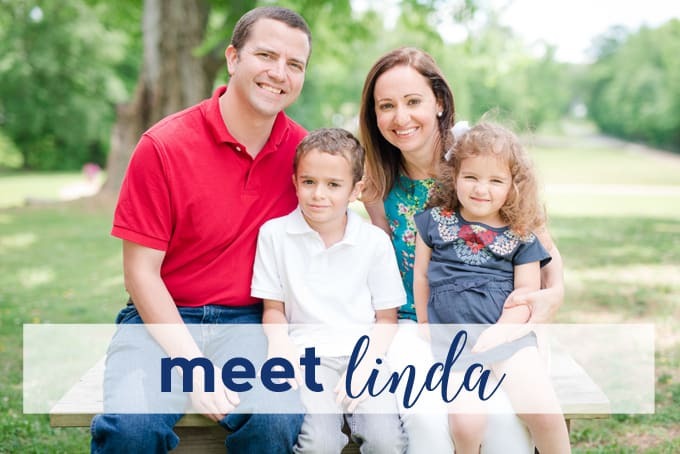 Mrs. Meyers believes that everyone can be a Home Maker, all you need is to try something new and move past the fear of perfection (which I know I definitely have in spades, and I imagine you do too). Your home is what you make it and that’s what Mrs. Meyer’s Clean Day® sees as their purpose, to inspire all the beautiful things you grow in your home. I was inspired by Mrs. Meyer’s Clean Day® to remember to carry over some of the summer traditions we love so much into our new school year routine. 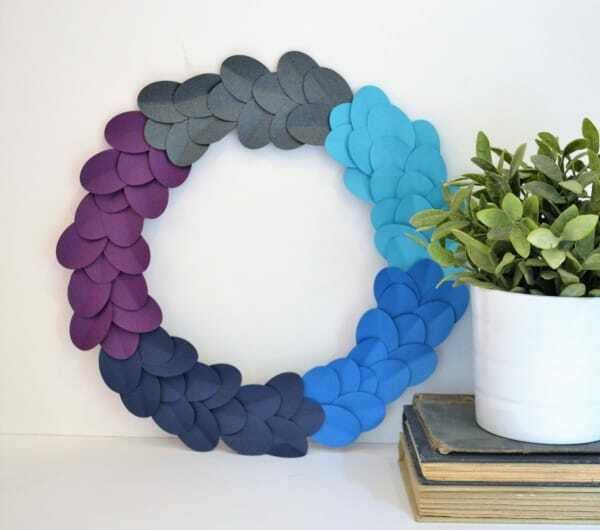 I created, with the help of my kids, this ombre paper wreath. 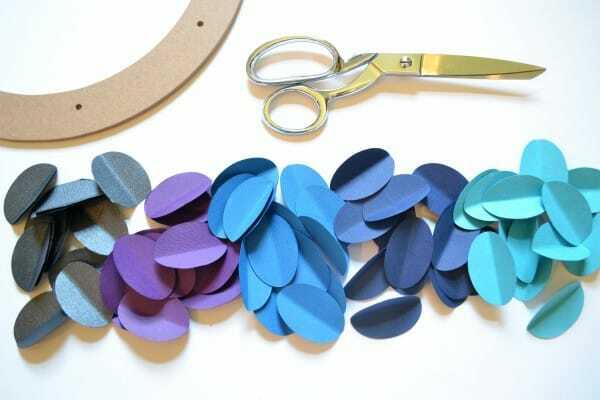 It’s an easy weekend DIY project that you can customize to any color scheme or for any holiday. Step 1: Use your oval punch to cut out your leaves. 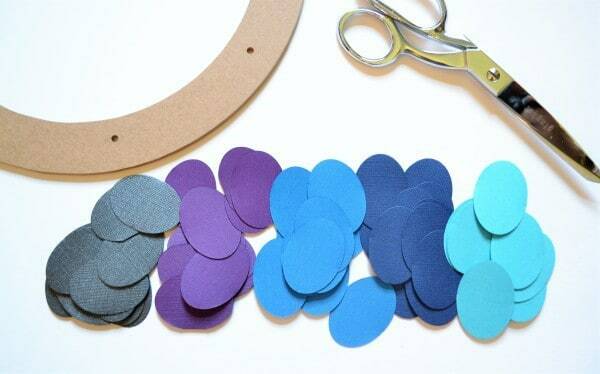 I chose papers in bright blues and purples, but this would work so well with any color scheme you had in mind. 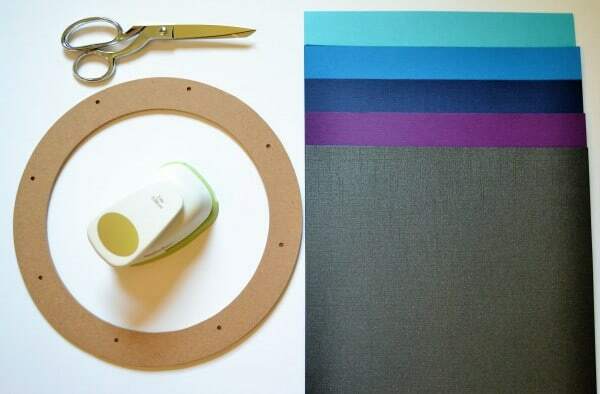 Even using all of the same color paper would make for a fun, modern take! 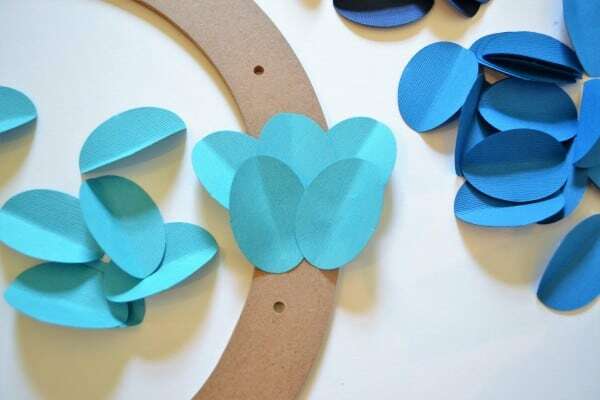 Step 2: Fold your “leaves” in half to give your wreath some dimension. Step 3: Begin gluing your leaves onto your wreath form. I alternated rows of three leaves and rows of two leaves (see below). I used hot glue because it dries so quickly, but you can use whatever you have on hand! Halfway through! 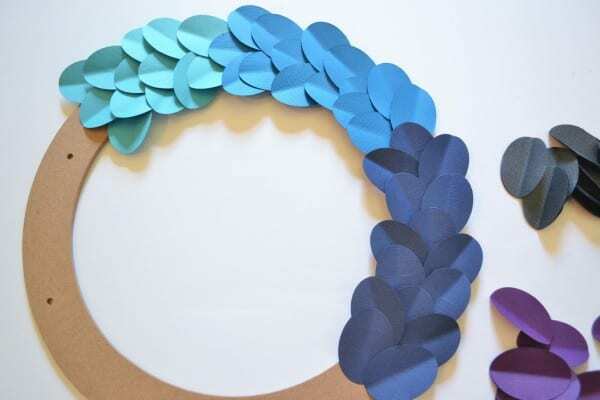 This wreath comes together really quickly…under an hour from start to finish. 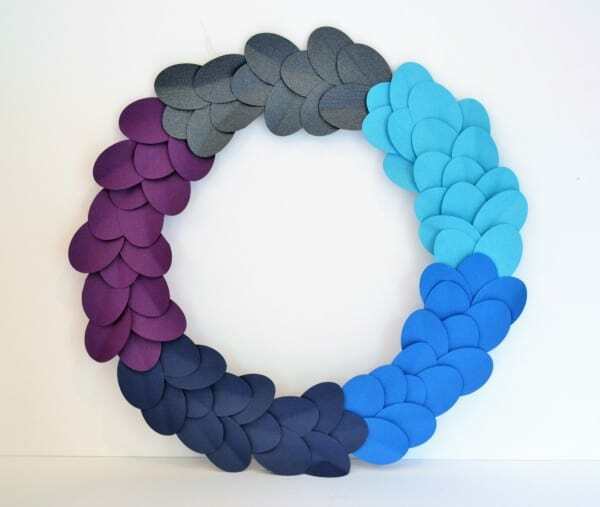 I love the bright colors and subtle texture of the paper in this wreath. I plan on leaving it up through Fall, but can easily see myself deciding to incorporate it into my holiday decorating, as well. 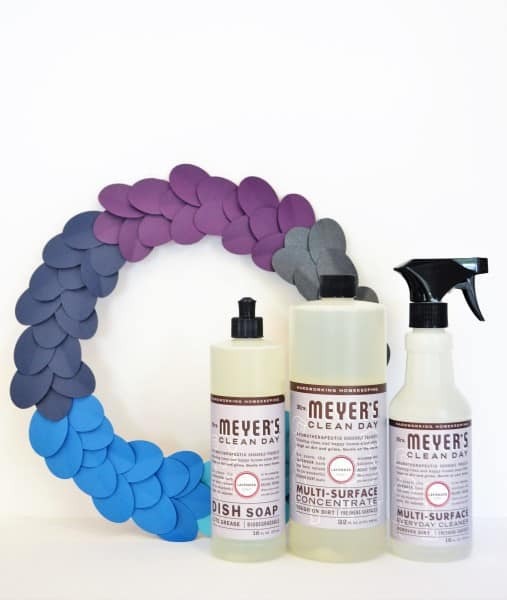 Mrs. Meyer’s Clean Day® recognizes that we all have to clean, so why not make the very best of it? Their products are chock full of plant-derived ingredients and essential oils, yet are powerful against dirt and grime. 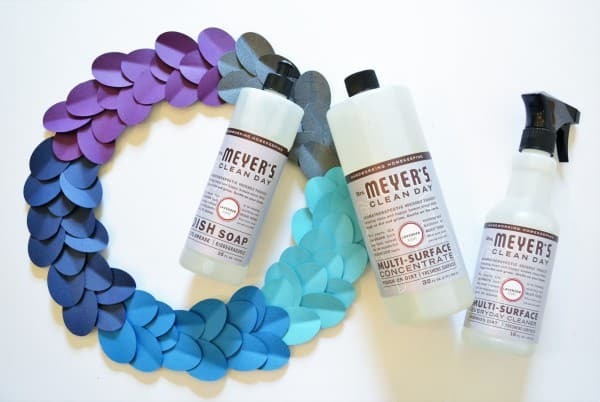 Mrs. Meyer’s Clean Day® products are free of animal-derived ingredients and not tested on animals. I’d love to know-as your family transitions from summer to fall, what tips and tricks do you utilize to keep your home clean amid busy schedules? 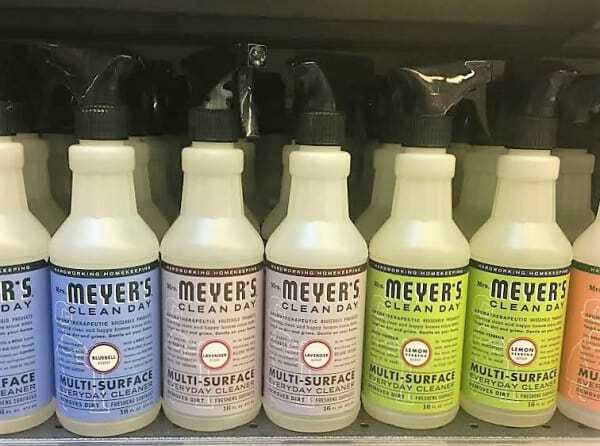 ** Offer valid on all scents of Mrs. Meyer’s Clean DayⓇ Multi-Surface Spray, Mrs. Meyer’s Clean DayⓇ Dish Soap, Mrs. Meyer’s Clean DayⓇ Multi-Surface Concentrate, Mrs. Meyer’s Clean DayⓇ Toilet Bowl Cleaner and Mrs. Meyer’s Clean DayⓇ Auto Dish Soap. Whole Kids Foundation will invest the $25,000 donation from Mrs. Meyer’s Clean DayⓇ to support edible learning gardens and salad bars at schools.